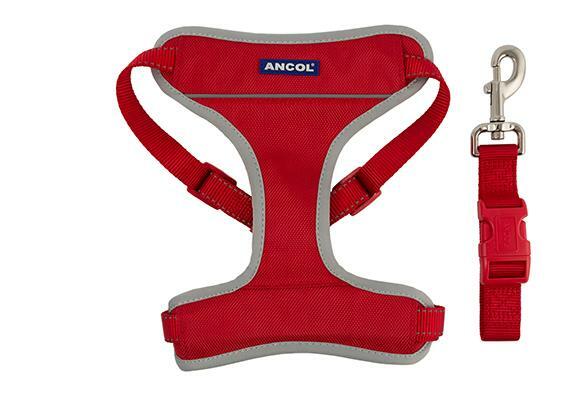 The Ancol Travel Harness is designed to keep your dog secure in the car and be a useful every day harness. 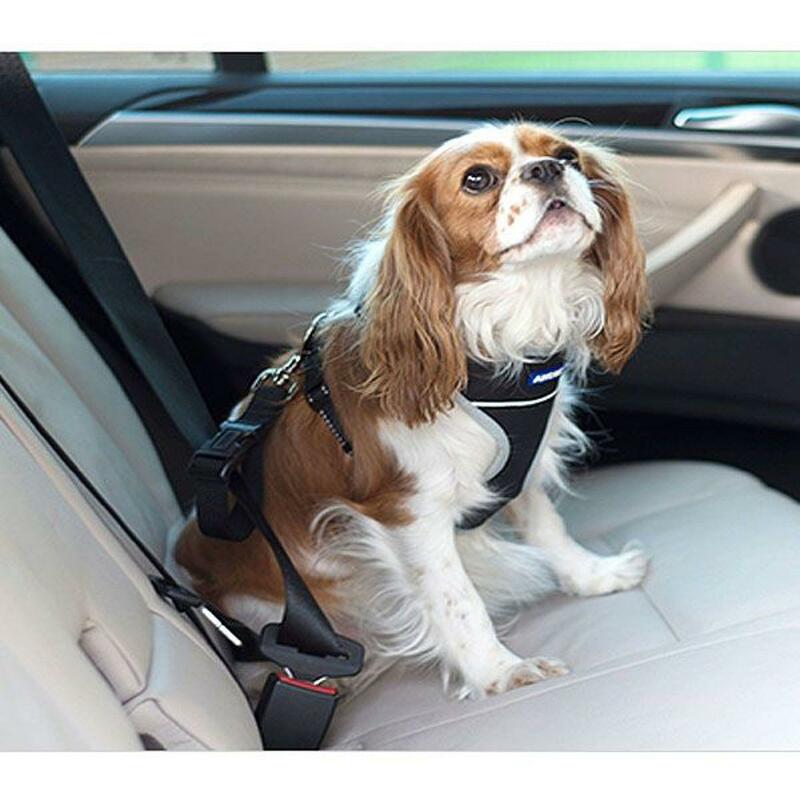 The harness has large contact areas to keep your dog secure and is padded at the chest for comfort. It utilizes incredibly strong and hard wearing materials for extra security while travelling. 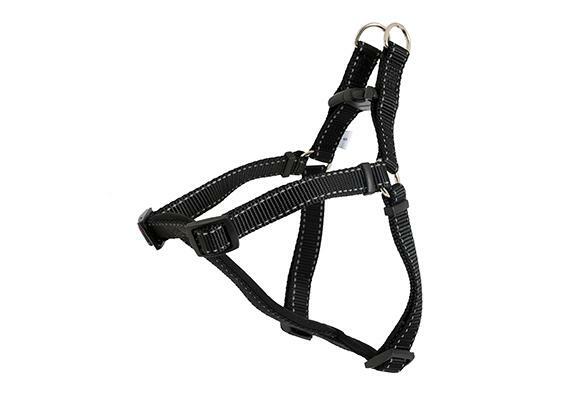 The harness has a D-ring so it can be used instead of a collar when you arrive. 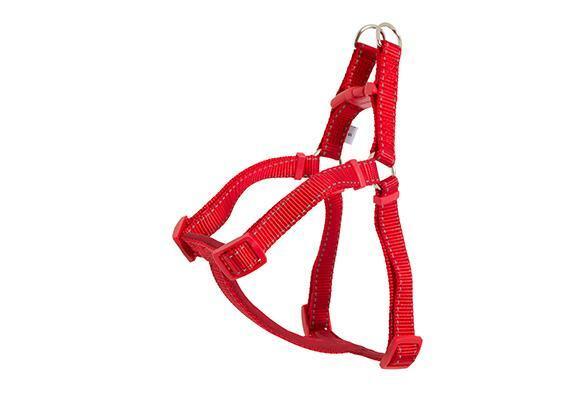 Harnesses are particularly useful for dogs that pull as the pressure is diverted away from the neck and throat meaning a more comfortable and enjoyable walk for both of you. 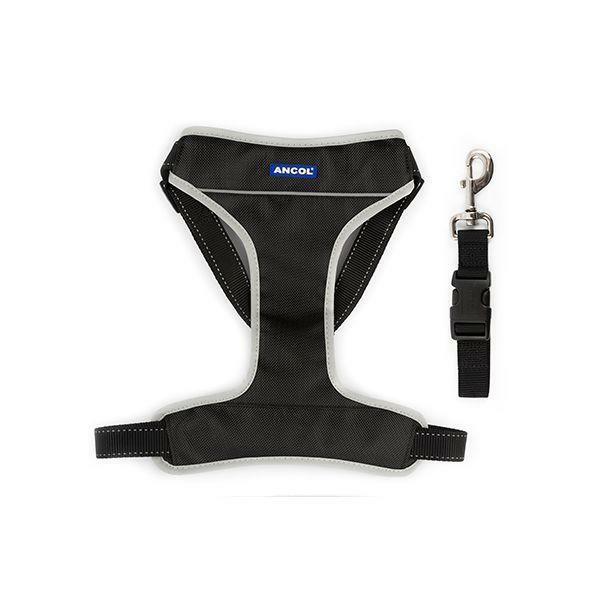 To increase your dog's visibility in low light there are subtle but effective reflective strips on the edges of the harness. 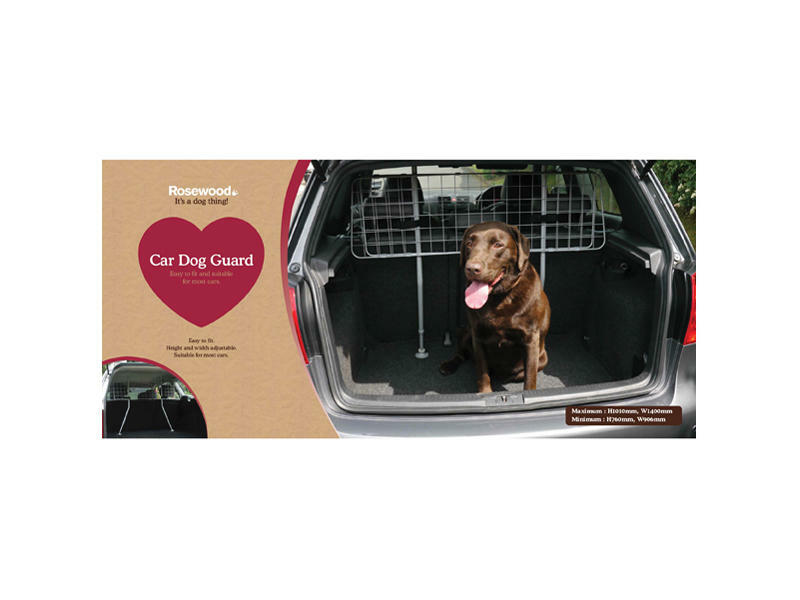 These alert other pedestrians and drivers of your dog's whereabouts because being safe means being seen. The nylon straps also have reflective stitching. Available in a choice of two colours, black or red and 4 sizes.